The UK’s leading youth homelessness charity Centrepoint returns with The Big Broth supported by Yorkshire Provender, a competition to find the tastiest home-made soup recipe. 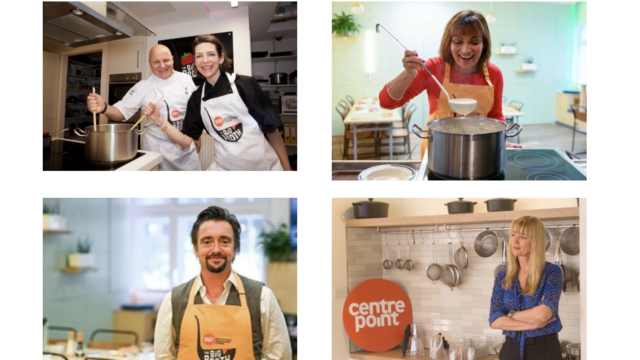 Soup has a long association with homelessness, so Centrepoint are asking the public to step into their kitchens and create a soup that will help support homeless young people. Whether it’s an old family favourite passed down through generations, an original recipe with an experimental flair or a twist on an old fashioned soup, the team of expert judges are waiting to be bowled over by the entries. 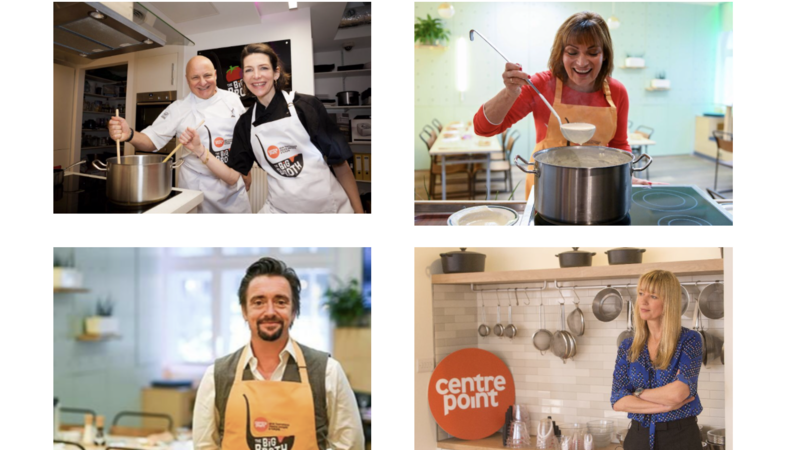 The winning Big Broth will be sold in supermarkets across the country and will be produced by experts in delicious soup, Yorkshire Provender, who will be making a donation to Centrepoint for each pot sold. Aiming to sell over 400,000 pots of the winning soup, The Big Broth will help give vulnerable young people a safe place to stay, tackle health problems and find work. Five lucky finalists will be invited to London to a special cook-off event on the 7th May, where the winner of The Big Broth will be chosen by a panel of ‘soup-a-star’ celebrity judges and renowned Chefs including award-winning Italian chef Aldo Zilli, founder of the Wahaca group of Mexican restaurants Thomasina Miers and Telegraph food critic, writer William Sitwell, who will chair the judging.